Illycaffè, family-owned Italian roaster, presented the 1st Annual Ernesto Illy International Coffee Award at the Delegates Dining Room of the United Nations in New York City on 1 November. 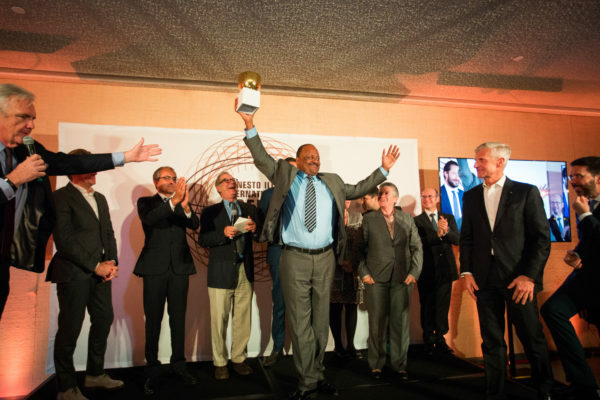 Ahmed Legesse from Ethiopia was recognized as ’Best of the Best’ at the 2016 awards—the first time the award ceremony has been held outside of Brazil. 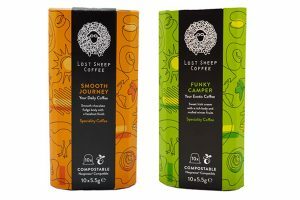 With this award, illycaffè wanted to recognize the coffee growers’ commitment to quality and sustainability, emphasizing the importance of working hand-in-hand with them, while also pursuing the company’s dream to offer the greatest coffee to the world. The illy Quality Lab at the company’s headquarters in Trieste, Italy, identified the three best coffee lots from the nine most representative coffee producing countries (among the 2015-16 season’s crops) of the unique illy blend. This year the competing countries were Brazil, Colombia, Costa Rica, El Salvador, Ethiopia, Guatemala, Honduras, India and Nicaragua. Then, an internal jury selected the one that, among those three, represents the best of each country. Hosted by the Illy family and featuring Master of Ceremonies – television food personality – Gordon Elliott, the award gala honored and recognized all 27 finalists, who nurture the best quality beans in the world for illycaffè. 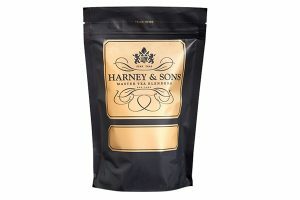 The coffee producers involved in the event traveled to New York with the support of United Airlines, which now serves the illy blend on all domestic and international flights and lounges. Ernesto Illy, chairman of illycaffè, said that his father created the Brazilian Quality Award 25 years ago, “which triggered the transformation of Brazil into a high-quality coffee producer. Today, we celebrate this important milestone by extending this prestigious award to all the major producing countries of the unique illy blend, with the aim of building the future of coffee by bringing together growers and coffee lovers. The nine country winner coffees were tasted by an international independent jury in different preparations, to choose the ‘best of the best’ coffee of the 2015-16 season’s crops. The jury, mentored by author Mark Pendergrast and illy Quality director David Brussa, included Peter Giuliano (SCAA Director), Grace Hightower (philantrophist), Suvir Saran, Viki Geunes and Luigi Taglienti (Michelin starred chefs) and Adolfo Henrique Vieira Ferreira (Chairman of the Brazil Specialty Coffee Association). During the event, Andrea Illy recalled the three virtues of coffee – pleasure, health and sustainability – and the virtuous circle between the well-being generated by the consumer response and the economic value benefiting the producing countries. This virtuous circle must be nurtured and accelerated by increasing product value with quality, differentiation and sustainability. Formerly known as the Brazil Quality Award, the ceremony has been held in Brazil for the last 24 years. Noting that illycaffè has been pioneering a vision of sustainability for the last 25 years, Massimiliano Pogliani, CEO illycaffè said “now is the time to expand to honor the nine countries most representative of illy’s unique blend.” The award has been renamed the “Ernesto Illy International Coffee Award” and moving forward the ceremony will now take place in New York City.